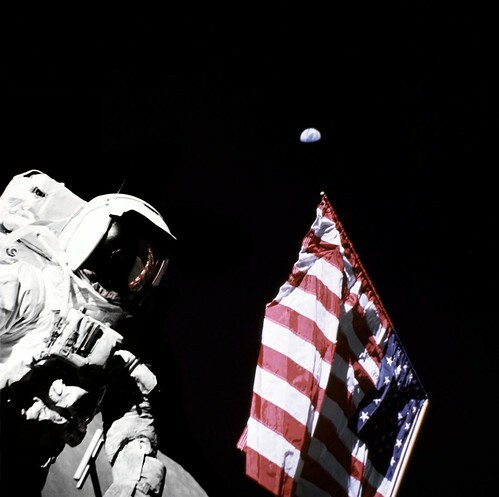 Geologist-Astronaut Harrison Schmitt, Apollo 17 Lunar Module pilot, is photographed next to the American Flag during extravehicular activity (EVA) of NASA's final lunar landing mission in the Apollo series. The photo was taken at the Taurus-Littrow landing site. The highest part of the flag appears to point toward our planet earth in the distant background.